Statement of Christine F. Sizemore, Ph.D., Richard Hafner, M.D., and Anthony S. Fauci, M.D. 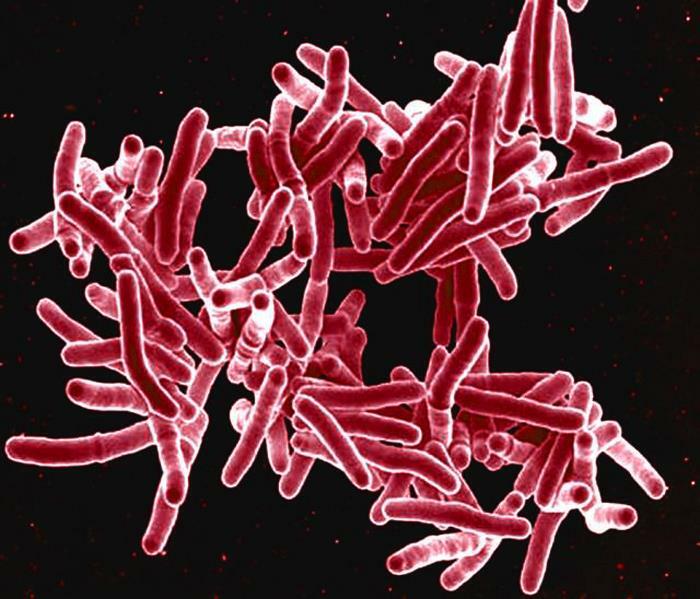 In the 130 years since the discovery of Mycobacterium tuberculosis (Mtb) — the bacterium that causes tuberculosis (TB) — at least 1 billion people have died from TB. That death toll is greater than the combined number of deaths from malaria, smallpox, HIV/AIDS, cholera, plague and influenza. Today, in commemoration of World TB Day, the National Institute of Allergy and Infectious Diseases (NIAID), part of the National Institutes of Health (NIH), renews and reinvigorates its commitment to the research needed to end this ancient scourge. Mtb is transmitted through the air and primarily affects the lungs. TB is the leading killer among infectious diseases and among the top 10 causes of death worldwide. The World Health Organization (WHO) estimates that in 2016, TB claimed the lives of 1.7 million people, including 250,000 children, and 10.4 million people were newly infected with Mtb. TB is the primary cause of death for individuals co-infected with HIV. According to the WHO, more than 2 billion people globally are “latently” infected with TB, meaning they carry the bacteria but are currently without symptoms, which would include cough, fever, weight loss and night sweats. People with latent TB infection cannot actively transmit TB bacteria to another person. Up to 13 million people in the United States are estimated to have latent TB infection, according to the U.S. Centers for Disease Control and Prevention. Overall, people with latent TB infection have a 5 to 15 percent lifetime risk of developing active TB disease. This risk increases for people with compromised immune systems, such as those living with HIV, people receiving immunosuppressive therapy (such as individuals being treated for cancer), as well as diabetics, smokers and the malnourished. WHO’s End TB Strategy envisions an end to TB by 2035. To accomplish this, incremental improvements in understanding the disease and in the tools used to identify, treat, and prevent it will not be sufficient. Rather, accelerated efforts and transformative advances are needed. Recent engagement includes NIAID participation in the first “WHO Global Ministerial Conference on Ending TB in the Sustainable Development Era: A Multisectoral Response” in Moscow. At this November 2017 meeting, the urgent need for a more intensive biomedical research approach to controlling and ultimately eliminating TB was clearly articulated. Specifically, we need a more intensive interdisciplinary systems biology approach (using cutting-edge methods, large data sets, and modeling to understand complex biological systems) to improve our understanding of how Mtb infection causes disease. Additionally, we must work toward improved diagnostics that can detect Mtb in a variety of clinical specimens in addition to sputum. Also, rapid, accurate, and inexpensive “point-of-care” tests to distinguish between drug-sensitive and drug-resistant Mtb must be developed. NIAID investments in research contributed substantially to the WHO-endorsed GeneXpert MTB/rifampicin resistance diagnostic currently in use, and the Institute continues to support the development of next-generation TB diagnostics. Today’s treatment regimens for TB require too many drugs, often with toxic side effects, that must be taken for six months or longer. With the increasing incidence of multidrug resistant TB (MDR-TB), these regimens often become very lengthy (up to 20 months), more complex, costly, and more prone to failure. Extensively drug-resistant TB (XDR-TB) is even more difficult to treat, and for some patients, no effective treatment regimens exist. Despite the urgent need for new and improved TB treatments, there is a paucity of new drugs in the clinical development pipeline. To address this deficit, NIAID-supported investigators have engaged in cross-disciplinary, international collaborations designed to spur basic science and early-stage TB drug discovery. Additionally, NIAID has used its HIV/AIDS clinical trials networks to enhance TB clinical research by conducting key studies of potential TB treatment strategies. For example, a NIAID-led study found that a one-month antibiotic regimen to prevent active TB disease in people with latent TB infection was as safe and effective as the standard 9-month course in people living with HIV. Additionally, the NIAID-funded HIV/AIDS clinical trials networks have conducted studies of improved regimens for MDR-TB therapeutics geared to treat both HIV-infected and uninfected adults and children. A broadly effective preventive TB vaccine could avert millions of new Mtb infections; however, critical knowledge gaps have made developing such a vaccine a difficult challenge. The current Bacille Calmette-Guerin (BCG) vaccine, developed in 1921, offers protection against disseminated TB disease and death in children, but this protection does not reliably extend into adulthood. A recent study suggests that revaccination with the vaccine could potentially prevent Mtb infections in high-risk adolescents. To reliably protect against the transmissible pulmonary form of the disease in adults, a new, more effective intervention strategy is needed. NIAID supports basic, preclinical and clinical research to find and develop new, innovative vaccines to prevent TB infection and disease. The WHO estimates that 53 million lives were saved between 2000 and 2016 through improved TB diagnosis and treatment. Through an intensified research agenda, a sustained commitment to supporting and conducting TB research, and a renewed effort to work with other agencies and organizations, NIAID is dedicated to helping eliminate this disease and improving and saving the lives of people with TB. In September 2018, the United Nations General Assembly will conduct a high-level meeting on TB—representing an important step forward by governments and other partners from around the world in the fight against TB. On this World TB Day, we stand with global leaders in response to the bold call of action to make history and end TB. Anthony S. Fauci, M.D., is Director of the National Institute of Allergy and Infectious Diseases (NIAID) at the National Institutes of Health in Bethesda, Maryland. Richard Hafner, M.D., is chief of the TB Clinical Research Branch in NIAID’s Division of AIDS; Christine F. Sizemore, Ph.D., is chief of the Tuberculosis and other Mycobacterial Diseases Section in the NIAID Division of Microbiology and Infectious Diseases. This entry was posted on Saturday, March 24th, 2018 at 9:18 am and is filed under Tuberculosis .